There's a new app that tells you how smart your dog is. Here's how it works - If you bought the app, your dog is smarter than you. There's a new app that tells you how smart your dog is. 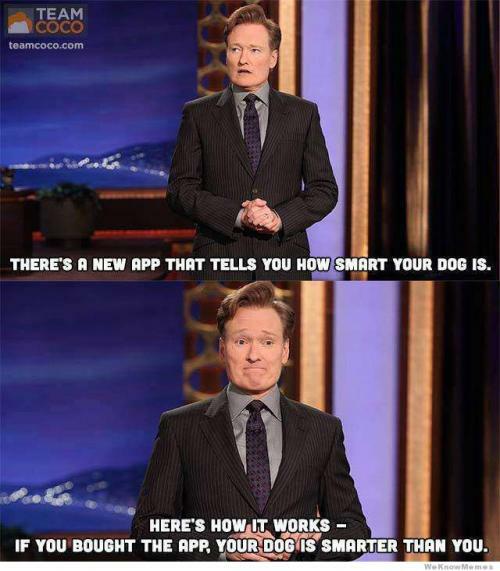 Here's how it works - If you bought the app, your dog is smarter than you.